What are the top 5 advantages of providing work uniforms for your employees? Selecting an appropriate employee uniform can immediately establish a professional business image that attracts and helps retain customers. When employees wear uniforms displaying corporate logos and colors, they help brand and differentiate their business in the markets they serve. Company uniforms in specific colors quickly identifies who belongs in certain work areas. High visibility uniforms prevent accidents. Employer provided uniforms save employees money, plain and simple. Happy staff, happy boss. Work uniforms help instill a sense of pride and responsibility and can convert employees into “brand ambassadors” outside the actual workplace. Please contact us to help identify which fabrics and colors would best be suited for your hardworking team. 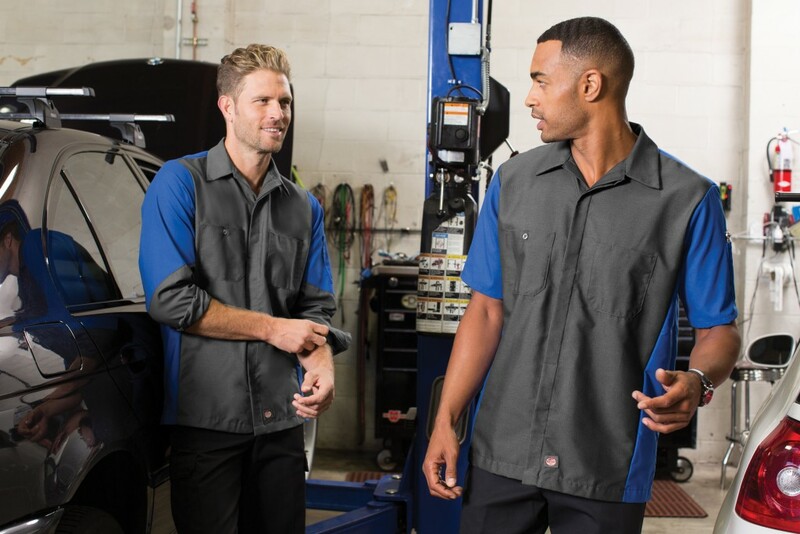 If you’d like to browse our top selling work uniform brands for the industrial market, please click on the links below to view our online catalogs.